Super Bowl 50! Lets Go Broncos! The Super Bowl is finally! There is more to The Super Bowl than just football. 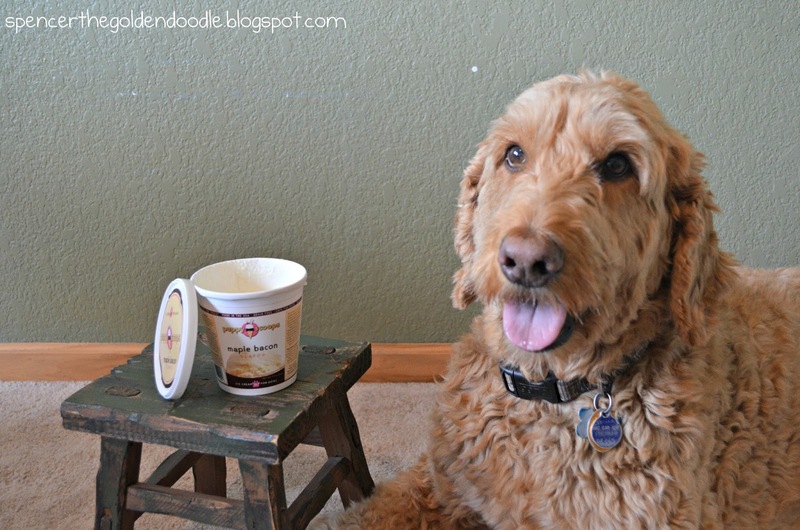 Humans look forward to parties, food, and these things called commercials. Well, I think I’m ready for the big game with my Broncos shirt, plenty of snacks, Browser Beer, and a couple of footballs to throw at the tv if needed! So lets get the party started! 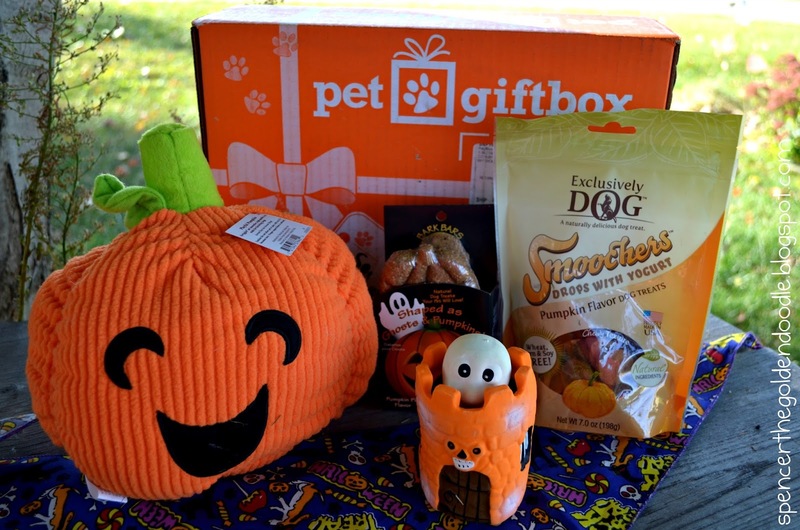 My favorite time of the month is when the mailman delivers my monthly Pet Gift Box to my door. 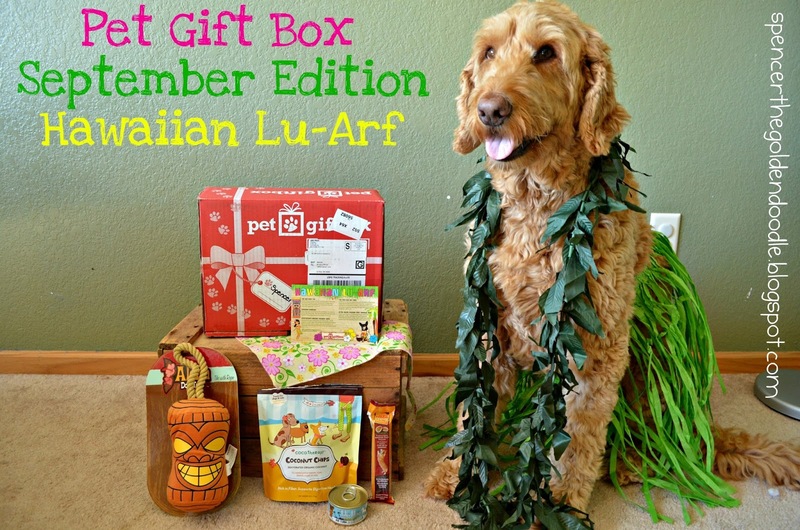 Pet Gift Box is a monthly box subscriptions for pets. They have boxes for both Dogs and Cats. 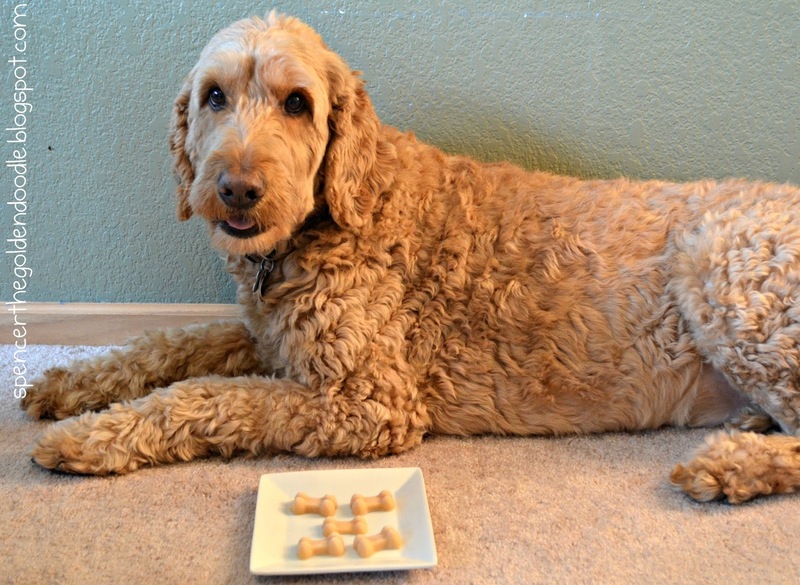 Your box is created around your dog’s size. 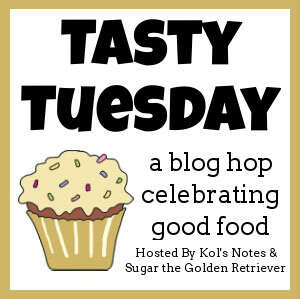 Each month’s box is a different theme which includes a mix of 4-6 toys, treats, and other products. 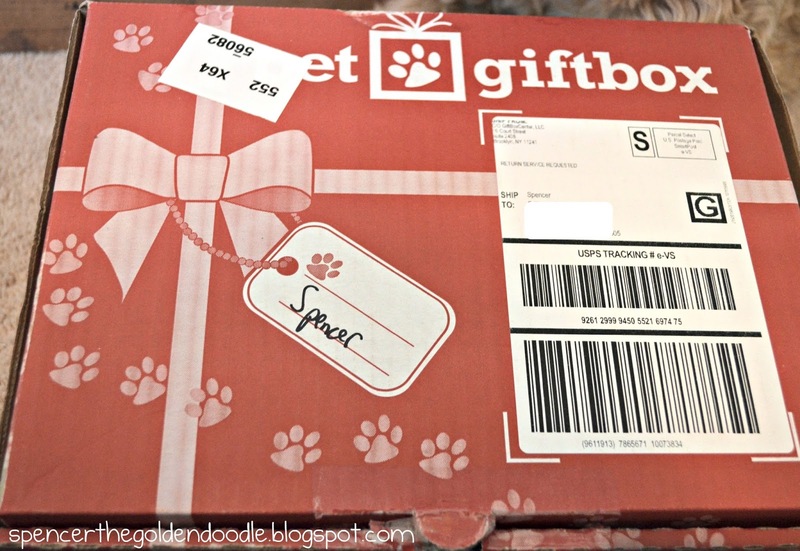 My favorite part of the Pet Gift Box is that they charge monthly. Meaning you do not pay it all upfront. 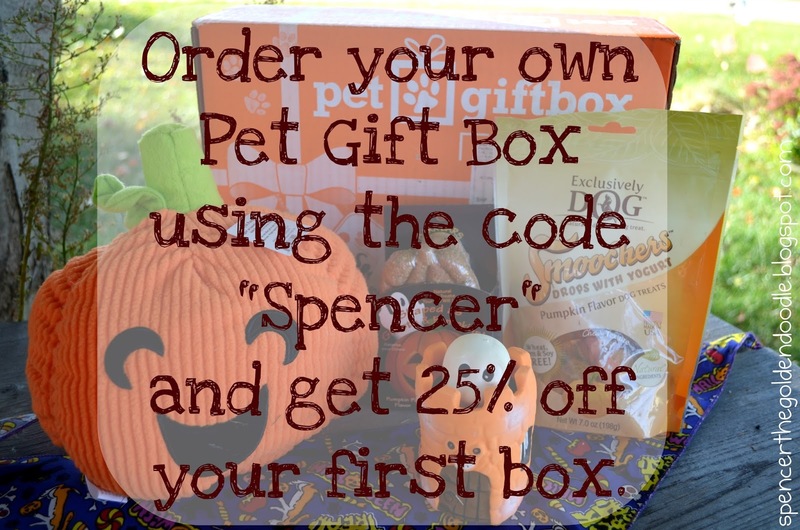 If you want to give the Pet Gift Box a try, use the coupon code “Spencer” and get 25% off you first box. Since it is October, this month’s theme is “Halloween.” Let’s take a look at what goodies have arrived this month. The Playful Pumpkin Jack O’Lantern is made from soft corduroy with a squeaker inside. This to has lasted for a week with me playing with it daily and hasn’t ripped yet. 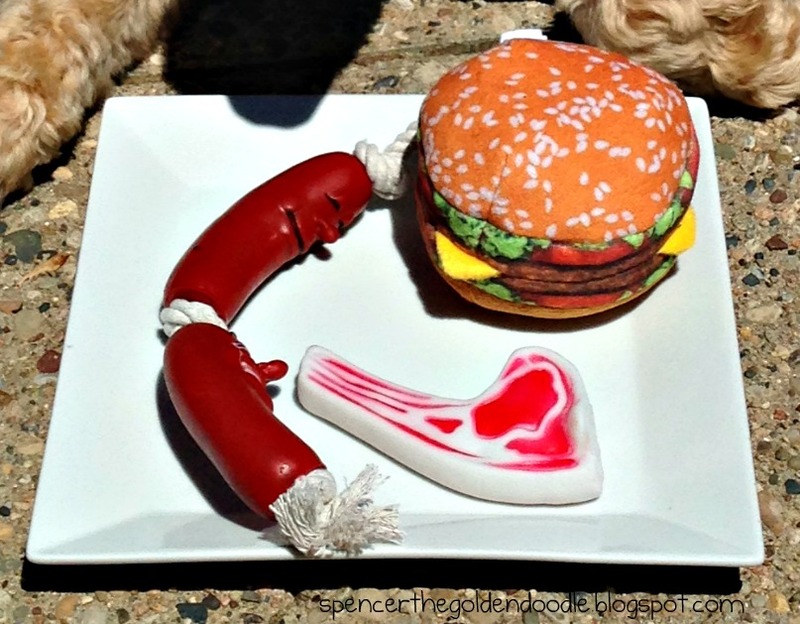 The head pops up and surprises your pup when they squeeze this creepy Halloween toy. These chewy, tasty pumpkin-flavored drops with a kiss of yogurt on each. 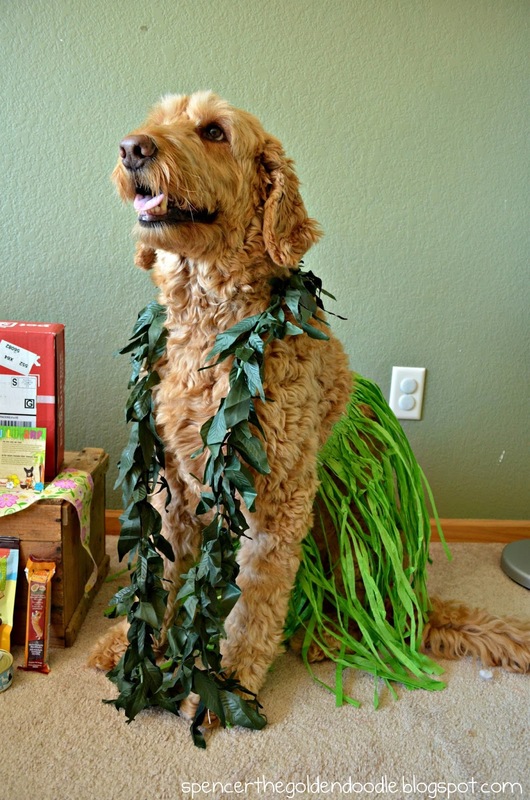 A spooky bandana is perfect for dressing you pup up for a spine-chilling evening. Includes a pumpkin and ghost shape cookies that taste like pumpkin pie. The total value of this box is $43.95!!! That is a $25.00 savings! 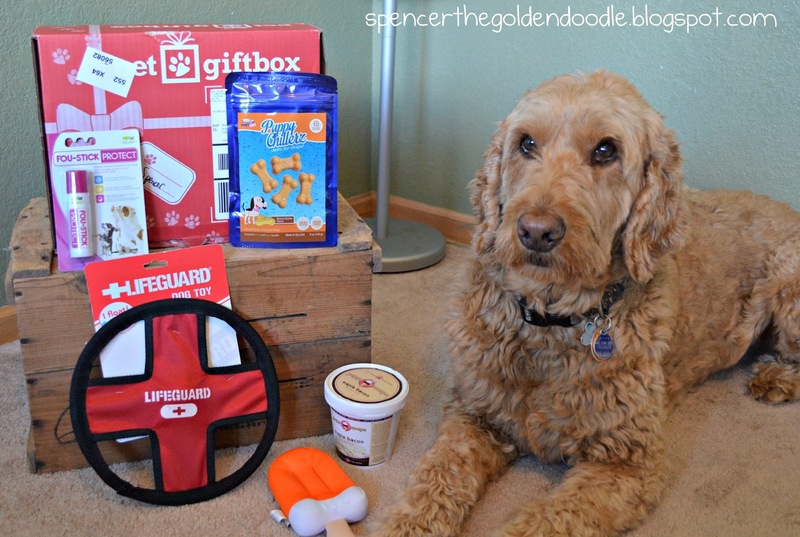 Pet Gift Box is always a fun surprise every month with toys, treats, and other products I might not have tried. 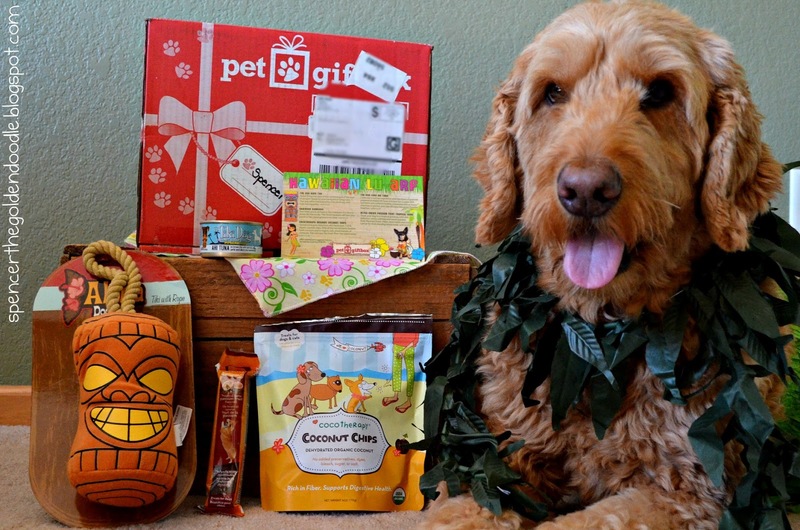 So what are you waiting for, get your Pet Gift Box today. 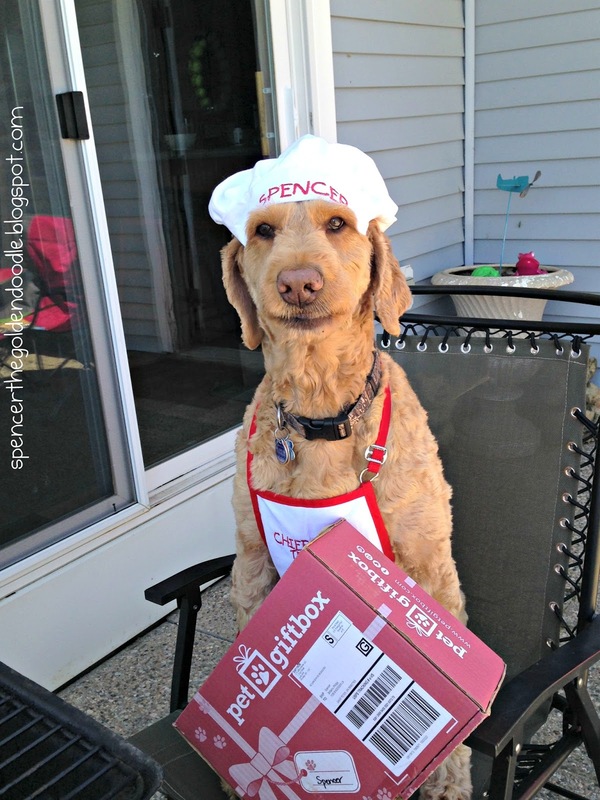 Use the code “Spencer” and get 25% off your first box! I decided to pull out the ol’ grill and present this box properly. 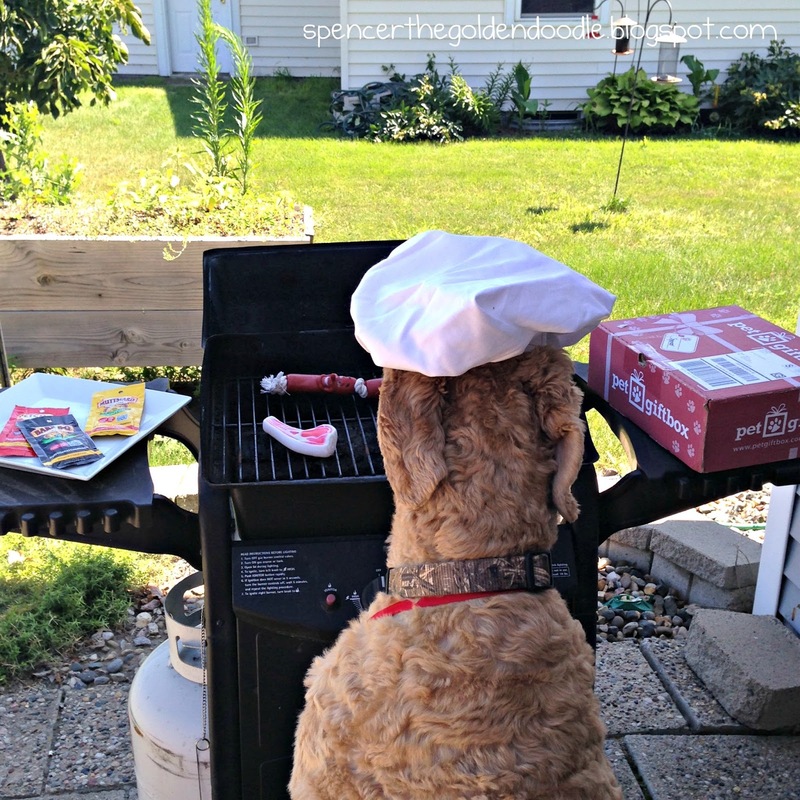 I placed the meat on the grill and will let you know when they are done. In the mean time lets look at what else came in the box. 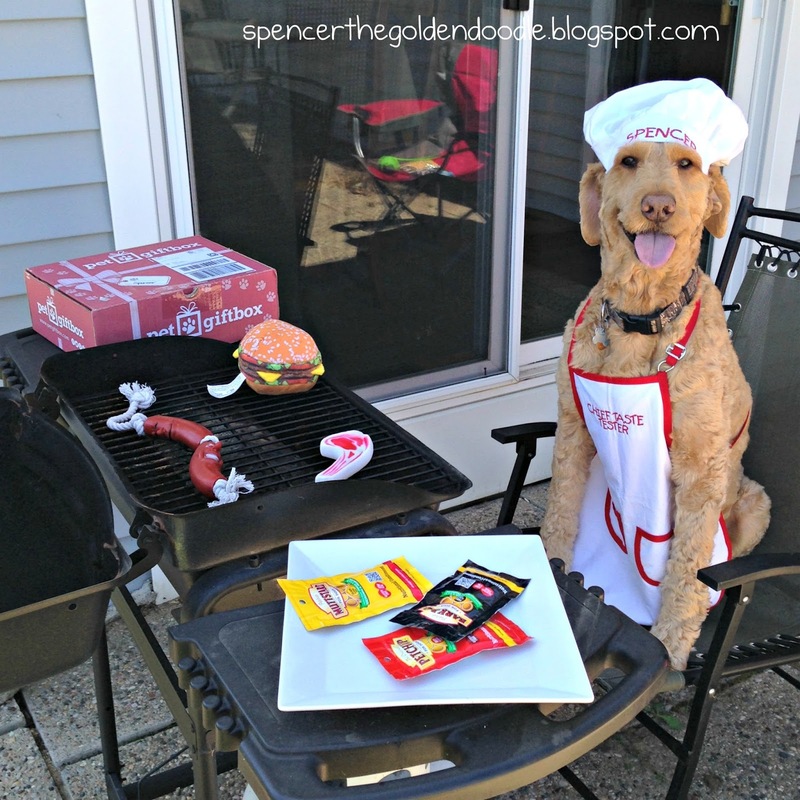 What’s a Bark-B-Que with out condiments. 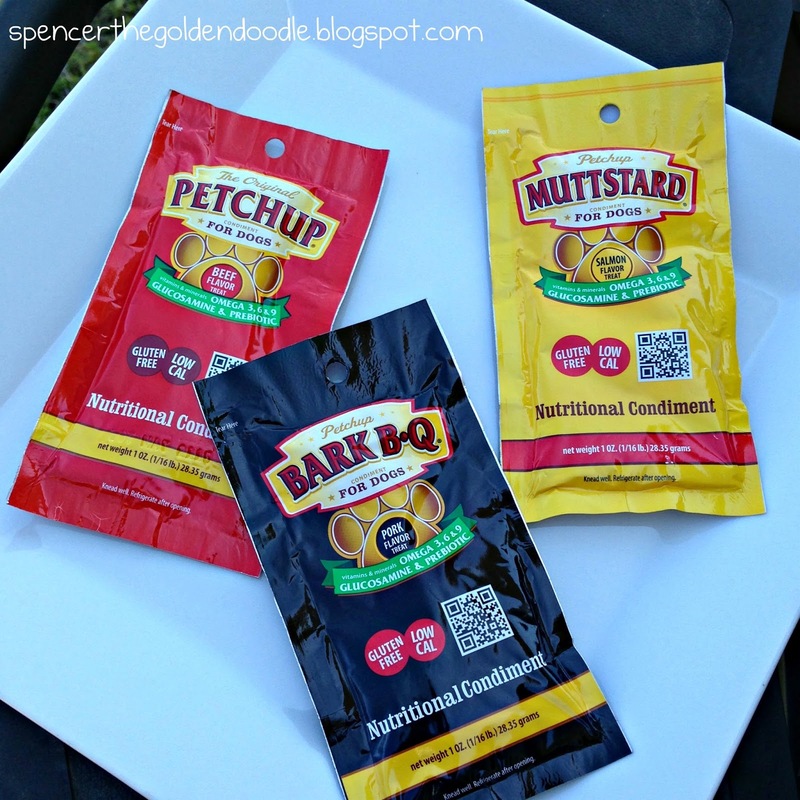 These condiments are great to put on your dog’s food to add a little extra favor. 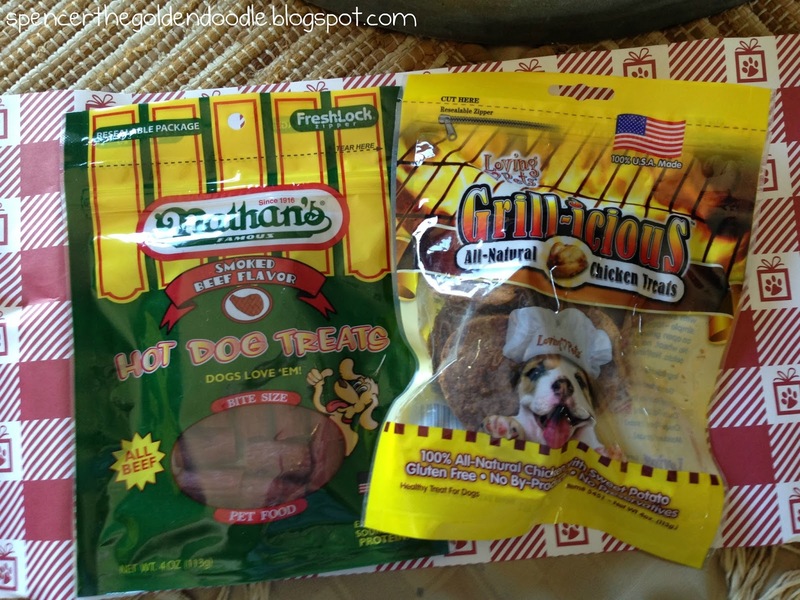 As appetizers we have Nathan’s Famous Treats and Grill-icious Chicken Treats. 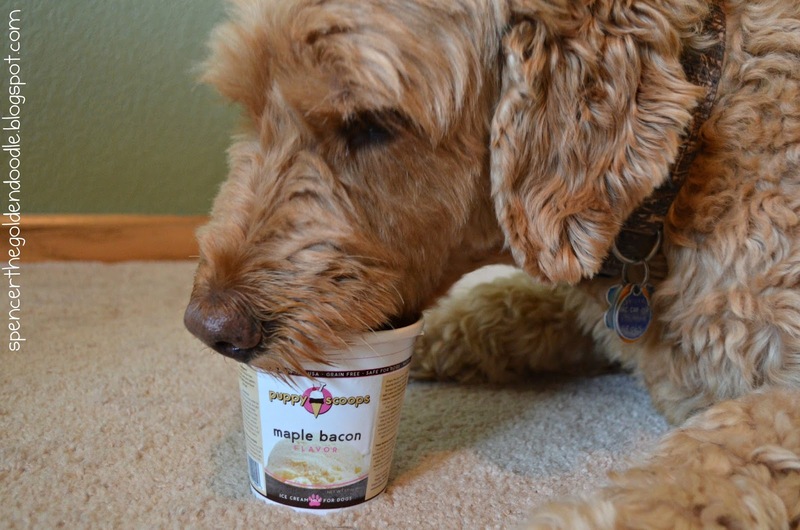 These two treats are delicious and are proudly made in the US. 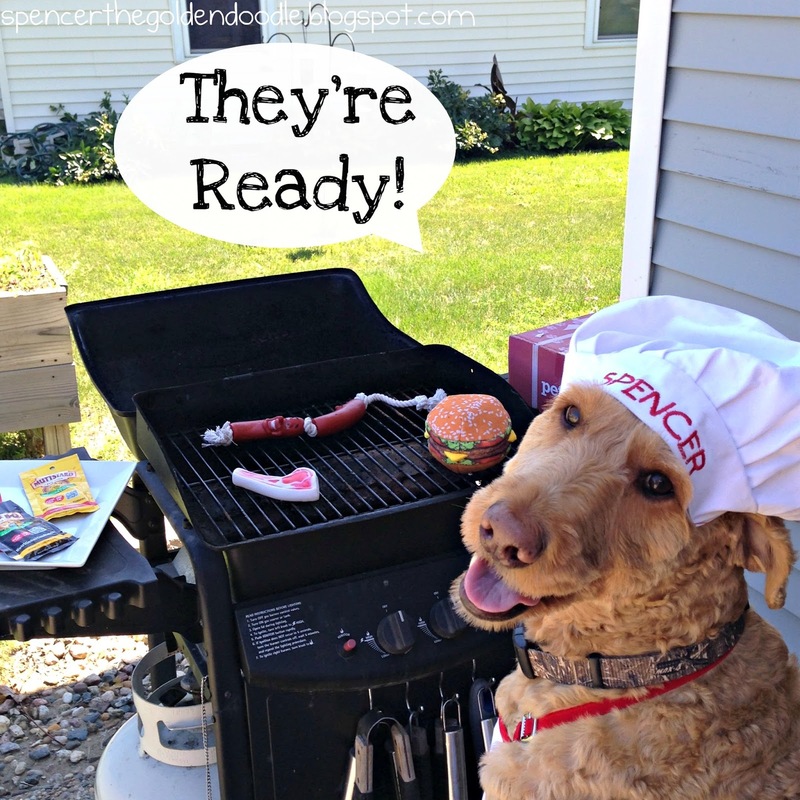 Just a little bit longer…..
Let me introduce you to the main course: BurgerBuddy, Sausage Rope Toy, or Hot Off The Grill Toy. The best part of all three of these toys, they all have amazingly loud squeakers! Which one should I dive into first??? 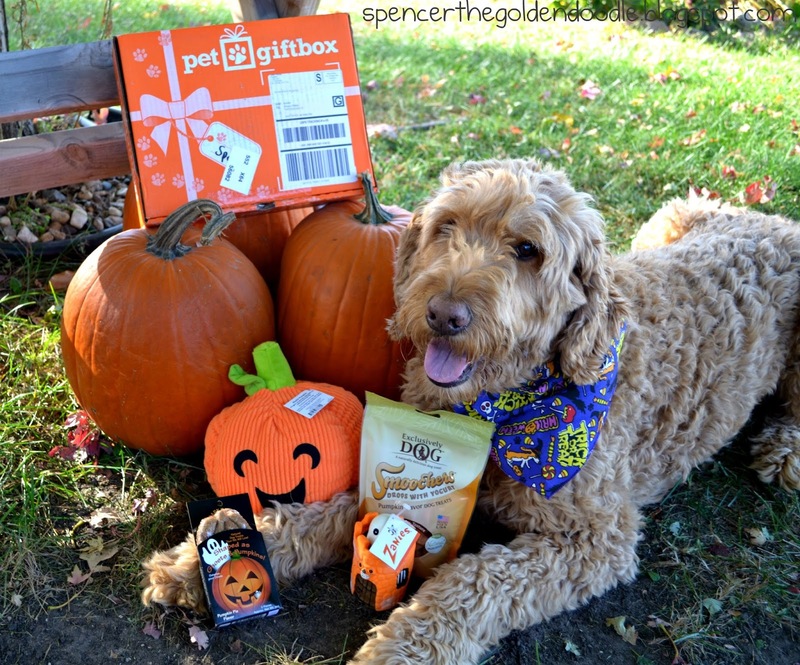 If you would love to subscribe to the Pet Gift Box, click this LINK and save $5 on your first box! 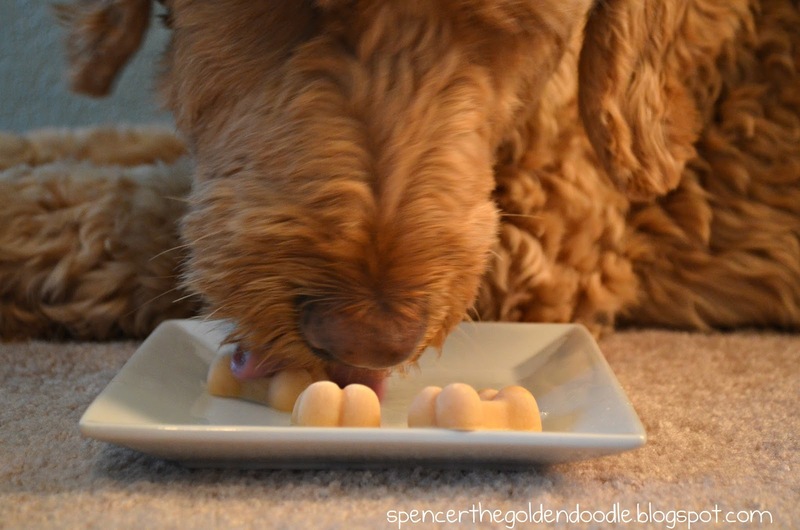 Today I’m following the Wordless Wednesday Blog Hop hosted by BlogPaws.